Among the types of Personal Data that the Libas App collects, by itself or through third parties, there are: Name, Phone number, Address, Email, Cookie and App Usage Data. The Personal Data may be freely provided by the User, or collected automatically when using the Libas App. Failure to provide certain Personal Data may make it impossible for the Libas App to provide its services. The User assumes responsibility for the Personal Data of third parties published or shared through the Libas App and declares to have the right to communicate or broadcast them, thus relieving Libas International of all responsibility. Libas International processes the Data of Users in a proper manner and shall take appropriate security measures to prevent unauthorized access, disclosure, modification or unauthorized destruction of the Data. The Data processing is carried out using computers and/or IT enabled tools, following organizational procedures and modes strictly related to the purposes indicated. In addition to Libas International, in some cases, the Data may be accessible to certain types of persons in charge, involved with the operation of the site (administration, sales, marketing, legal, system administration) or external parties (such as third party technical service providers, mail carriers, hosting providers, IT companies, communications agencies) appointed, if necessary, as Data Processors by the Owner. The updated list of these parties may be requested from the Data Controller at any time. The Data is processed at Libas International’s operating offices and in any other places where the parties involved with the processing are located. For further information, please contact Libas International. The Data is kept for the time necessary to provide the service requested by the User, or stated by the purposes outlined in this document, and the User can always request Libas International for their suspension or removal. The Data concerning the User is collected to allow the Application to provide its services, as well as for the following purposes: Access to third party services’ accounts, Contacting the User and Interaction with external social networks and platforms. The Libas App may ask some Facebook permissions allowing it to perform actions with the User’s Facebook account and to retrieve information, including Personal Data, from it. These services allow the Libas App to access Data from your account on a third party service and perform actions with it. This service allows the Libas App to connect with the User’s account on the Facebook social network, provided by Facebook Inc. This service allows the Libas App to connect with the User’s account on the Pinterest social network, provided by Pinterest. Permissions asked: Pin to Board. By filling in the Customer Service form with their Data, the Users authorizes Libas International to use these details to reply to requests for information, quotes or any other kind of request as indicated by the form’s message. Personal Data collected: Name, Email and Country. These services allow interaction with social networks or other external platforms directly from the pages of the Libas App. The interaction and information obtained by the Libas App are always subject to the User’s privacy settings for each social network. The User’s Personal Data may be used for legal purposes by Libas International, in Court or in the stages leading to possible legal action arising from improper use of the Libas App or the related services. For operation and maintenance purposes, the Libas App and any third party services may collect files that record interaction with the Libas App (System Logs) or use for this purpose other Personal Data (such as IP Address). 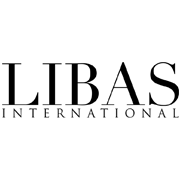 More details concerning the collection or processing of Personal Data may be requested from Libas International at any time at libasinternational2011@gmail.com. Users have the right, at any time, to know whether their Personal Data has been stored and can consult Libas International to learn about their contents and origin, to verify their accuracy or to ask for them to be supplemented, cancelled, updated or corrected, or for their transformation into anonymous format or to block any data held in violation of the law, as well as to oppose their treatment for any and all legitimate reasons. Requests should be sent to Libas International at the contact information set out above. The Libas App does not support “do not track” requests.